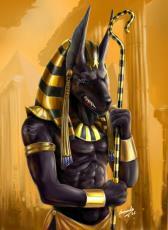 A visionary dream I had about the Egyptian God Anubis. Where the dead were lain to rest. Death had grabbed me tight. © Copyright 2019 Miss Necrosica. All rights reserved. This page was created in 0.3580 seconds.